From almost barren to man-made, these islands are home to many different species of animals and in one notable case, inanimate objects. They show the diversity of the wonderful earth we live in, and if you have ever fancied living the island life, will any of these match your dreams? 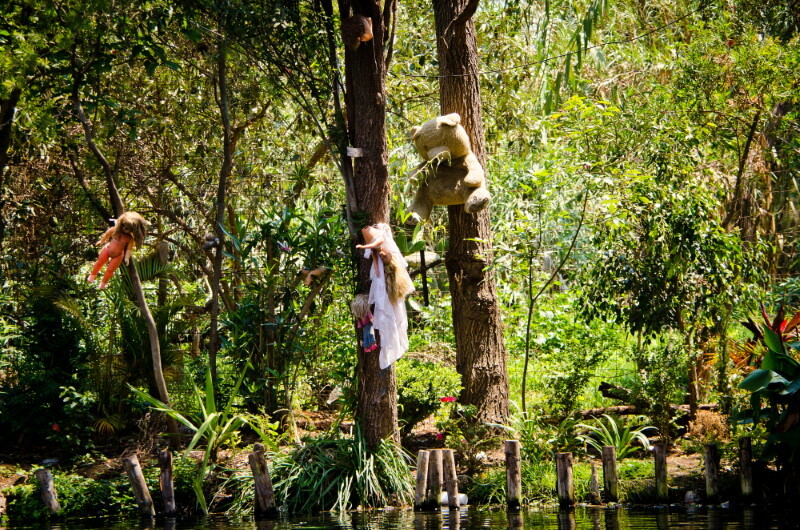 Just outside Mexico City, this floating island can be found in the canals of Xochimico, and covered with old and rotting dolls it makes for a very eerie sight. The old caretaker hung them from the trees in an effort to appease the spirit of a young girl he sadly found drowned nearby. Apparently, even his family think he may have imagined her, but the result is certainly worthy of remembering. This is the island of Indiana Jones’s nightmares. Covered with thousands upon thousands of one of the world’s most venomous snakes, it is no wonder the Brazilian Government have banned visitors. The golden lancehead vipers can kill a human in under an hour, and that is certainly a reason not to want to set foot here. A much safer bet is a visit to the islands of the Uros people in Lake Titicaca. These are man-made and constructed from the tortora reeds which grow at the edges of the lake. The reeds are incredibly versatile as the Uros also make boats and houses out of them, and it is even edible. In Japanese culture, the cat is considered a good luck charm, and if so, this island must be the luckiest in the world. The cats outnumber the human population by about 6 to 1 and are the reason tourism is increasing; definitely a good luck charm for the residents. In 2000, this charming island near Tokyo suffered massive eruptions from its main volcano. This resulted in a four year evacuation because of the noxious gases, but now visitors are welcomed again. Although it is mandatory to carry a gas mask, it is not always required and travellers can enjoy the spectacular views and laid-back Japanese villages. This island in the Bay of Bengal is definitely not one to visit, however. As part of the Andaman Islands, the residents of North Sentinel Island are not keen at all on any connection with the outside world. Not much is known about the population as they have rarely had contact with modern civilisation. Luckily, the Indian Government have seen to it that they are left alone and happy in their solitude. This island is a little like a Russian matryoshka doll, with one thing inside another inside another. Vulcan Point island is an island in Crater Lake; so far so good. Crater Lake is just as it says, it is a crater inside a volcano that has been filled with water. 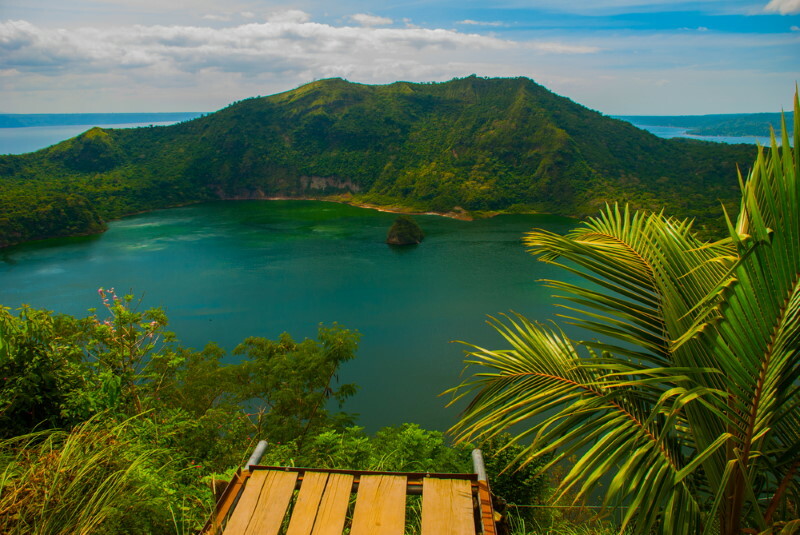 But the volcano is also an island in yet another lake, Lake Taal, which is on Luzon Island in the Philippines. So, just in case you are lost, on Luzon Island in the Pacific Ocean is a lake. Within that lake is an island, which also happens to be a volcano with a lake in its crater. And in that lake is another island, Vulcan Point, one of the few islands on a lake on an island on a lake on an island in the world. Not content with an island of cats, the Japanese are also lucky enough to have an island full of rabbits. This island in the Inland Sea of Japan has a shady past, as it was home to a chemical weapon facility during the Second World War. However, now it has more peaceful overtones. Dogs and cats are banned, and so the rabbits have proliferated and now number in their many hundreds. For the most part they are tame, and visitors can feed and pet them, leading to many tourists arriving to do just that. The Palm Islands of Dubai are completely man-made which is quite obvious if you view them from the air. They have been designed to be in the shape of palm trees and many residential, retail and entertainment venues have been built on the ‘fronds’ of the trees. The civil engineering required to construct the largest artificial islands in the world is stunning, and they are certainly a wonder of the modern world.